“Is this man of lawlessness really those of us who who did not LOVE THE TRUTH. It could be that in rejecting the truth, this man of lawlessness takes his seat in the TEMPLE of God.” Quoted from Washington Jackson in regards to 2nd Thessalonians and our current quantum-digital, effected reality. Quoted from a recent facebook post – Bishop William is a Christian Orthodox Priest who, while not fully knowledgeable about the Quantum(Mandela) Effect – he sees that something is amiss. Scriptures that we have all known to read a certain way, with specific wording, our entire lives (they are written on our hearts), are now changed – and history now demonstrates that said scriptures have ALWAYS BEEN IN THE MANNER that they read now. 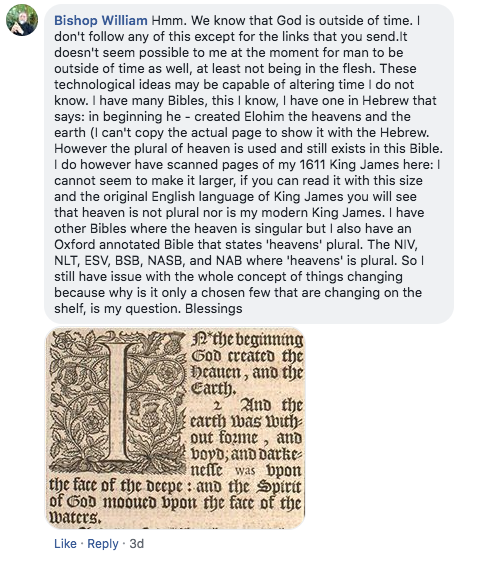 – Genesis 1 always read: “In the beginning God created the HEAVENS and the earth” in the king James Bible, now reads “heaven” (singular, not plural). For a look at some of the changes – visit the IABHORCERN.ORG website. *DISCLAIMER* I have not personally vetted EVERY link and /or statement. And even if I had – there could still be differences in my experience and the website’s listings. That is how this QE/ME thing works. 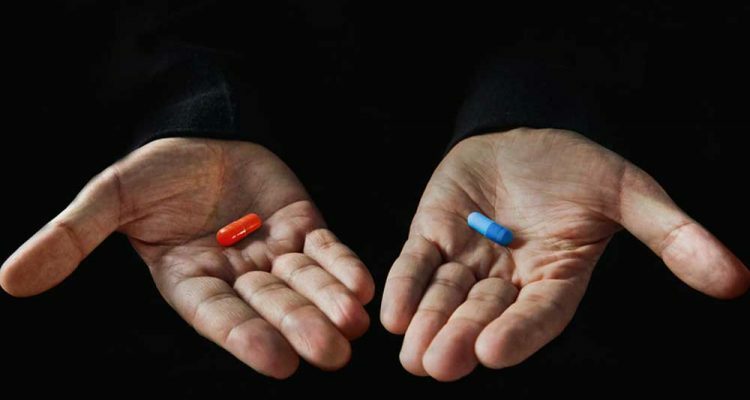 Do you want to take the BLUE PILL – or the RED PILL? The scientific community and the teachings of modern physics now demonstrate (and have proven, according to “reputable science community sources”) that the universe and everything in it, is a dimensional subset of a higher dimension that has been dubbed, “E8”. E8 is described as an EIGHT DIMENSIONAL LATTICE that all other dimension are derived from, encoding all of the particles and forces of our 3 dimensional reality. Panpsychism is the claim that consciousness is not just a property of the brain, and not a property of some special spiritual kind of substance like the soul, but rather a property of everything in the universe. Even a rock or a pebble or an atom has a little bit of consciousness in it. The video makes extremely complex concepts like higher dimensions and other Quantum physics related science not only understandable but entertaining. If you want to understand this column, you would be well served to watch the video. According to modern physics sciences, our realm is 3D while also including a 4th dimension, TIME, which is actually a shadow version of a higher 8 dimensional time. According to modern physics, the process of TIME is not constrained to only be “forward-linear”, sequential cause-and-effect experiences. Our classic understanding of physics has always lead us to believe that “time” was linear: History and time in general was a collection of sequential events that could be summed up as “cause and effect”. According to the latest breakthroughs in modern physics, classical ideals about time no longer apply and in fact, never have. We are now told that “the future effects the past and vice-versa”. What you do in your old age (for example) affects what you experience when you are 5 years old – what you do in the future – impacts or can change altogether, the past! According to the greatest minds of our day, time does not flow in a “past, present, future” sequence. The science of QUANTUM PHYSICS has now proven that all “real-time” is occurring (get this) “all at once”. The “past” is “now”, the “future” is “now” and the past can be changed by the present and/or the future. Our experience of time, like our 3 dimensional world – is a shadow of a higher dimensional reality. …I can imagine that I’ve lost you now – WATCH THE HACKING REALITY VIDEO to better understand. After receiving a recent comment from a brother-in-Christ regarding this column – I felt compelled to point out a well known story by the philosopher PLATO: the Cave — if you are not familiar with the story, it is basically about a group of people who live in a cave. They spend all of their lives within the confines of this cave. On the walls of the cave are moving shadows of what looks like people – and the cave dwellers, after many years watching – begin to believe that the shadows are their gods and they begin to worship the shadows. One day – it occurs to one of the cave dwellers to get closer to the source of the light that seems to cast the shadows on their world’s walls. He then finds himself “outside” the cave where he sees this amazing universe of sights and sounds and light! He goes back into his cave world and tells all of the cave dwellers of his amazing “vision” — they of course – mock him and tell him that “this cannot be so…” — He continues in his quest to tell all others of the cave dwellers about his amazing journey into the world of their gods. He is killed for his blasphemy. but I digress… back to the point of this column…. This new reality has been created by the mingling of science, tech and demonic led spiritualism. Ever heard of CERN? I also wrote about CERN in a piece titled “We Should be conCERNed” a few years ago. Visit the D-Wave website and you will find that D-Wave is akin to a high-tech, modernized version of a OUJIA Board. According to its creators – “D-Wave can pull resources from other dimensions” and standing next to a D-wave computer is like “standing next to an alter of an alien god” (I’m just telling you what THEY say). I would encourage you to visit the sites, video links and other resources cited here. YOU SHOULD WANT TO KNOW AND UNDERSTAND WHAT I AM TELLING YOU ABOUT. “Why?” – you might ask. Because your children are most certainly aware of these happenings. In a casual conversation with my twelve year-old daughter and her fiends, I found out that our kids are aware of and discussing, these things. And since most parents have never heard of “the Mandela effect” they are unaware that their children are being told a lie – being DECEIVED as to the source(s) of the changes in our reality. They are going to be taught, or are already being taught in science education – that we live in a “multiverse – holographic projection”. This is MODERN SCIENCE and it is a literal, demonic, satanic – LIE. Have any of us ever wondered what such times of great-deception and great-tribulation would look like? A recent iteration of AMERICAN SCIENTIFIC details the issues of coming to grips with the implications of QUANTUM MECHANICS. Soon – we will see a public announcement that will bring Copernican cosmology to an end. They are going to announce that we live in a flat, enclosed realm – A FLAT EARTH – not a globe spinning on an axis in a vast vacuum of space. But the truth of such a cosmological revelation will be awash in a deluge of lies. We will be told that “Yes, we do live on a flat earth, enclosed by a dome like structure, and that this world is a virtual realm that specially created by beings from another “higher dimension”. They will be presented as the creators of this ideal realm for us to all live in. They will in all likelihood present themselves as the saviors of mankind. Those of us who KNOW that we live in a flat, enclosed world – need to be aware of the coming deception that will turn this all around, against us all. “OK this post may draw some debate, but my hope is that is spurns understanding and not division. If we are unable to work through issues that impact the understanding of our faith we may have some unaddressed pride issues, and i say this to myself as well. I posted this on comments in a YT video with Bill Bean and Pastor Shrum. I am sure many of you have seen it already and if not you should check it out. The video is a debate between Bean and Shrum on the Bible Changes. At the end Shrum makes some comments as to why he doubts the ME changes, which I believe are very revelatory not just for him but for many Christians who cannot or refuse to see the changes. You see, the problem has to do with that initial fear and trepidation of “If the Mandela effect happened, then X Y Z would occur and God would not allow that”.. This is a normal reaction that anyone confronted with the issue will do. There are some logical flaws as to how people justify their reasoning along this path, but that is probably beside my point right now. What is critical is what that rationalization process reveals in the heart. Does it reveal that what you believe would happen (as well as the respective outcomes) is truth beyond all other considerations? If so that reveals PRIDE in the heart. Does it reveal that what you believe would happen (as well as the respective outcomes) would challenge and perhaps possibly nullify your understanding of “blessed assurance” if the ME were true? If so that reveals FEAR in the heart. Does the realization of the ME happening and the impact on our Bibles create doubt because deep down you are unable to accept the possibility of being in a supernatural existence? Well that would put in question you fully understanding your faith, exemplifying a LACK OF FAITH. Is this the mystery of iniquity in 2 Thess which is already at work? Does this reveal who the man of lawlessness really is? Is the man of lawlessness really a description of those of us who REJECT by PRIDE, FEAR, and a LACK OF FAITH the full God and person of Jesus in our hearts who inscribed His Word on our heart. Is this man of lawlessness really those of us who who did not LOVE THE TRUTH. It could be that in rejecting the truth…this man of lawlessness takes his seat in the TEMPLE of God. So…I was born again in March 2017…The Lord has lead me down one WILD RIDE, and all praise, all glory is HIS, and I am FOREVER thankful HE has chosen me, especially for such a time as this…I have done hundreds if not over a thousand hours of Bible study this past year…It has been intense…However, just recently I have decided to just start reading the Bible, cover to cover, no commentary, I will be studying also, but at the same time, I just want to spend time every day, just reading the bible, cover to cover…So, I got through Genesis in about a week, and started in Exodus…The second day in Exodus, I came across Exodus 13…And discover in my bible, the word, “Matrix”…Now, I used to be a Sci-Fi junkie…Still a recovering addict, and also recovering from a NASA Fanboy addiction that began when I was 7 or 8 years old…So, that said, when I read the word “Matrix” in my bible just recently, I stopped in my tracks…Literally…I mental noted, next time I am at my computer, I am gonna do a little digging…Well…I forgot…Until this post came into my email…Which lead me here, and as SOON as I got here, it HIT me like a brick in the face…I am nearly done with the book of Exodus now, however, still had not yet done that little “MATRIX” search…So, as soon as I brought this page up, I could not even begin, until I did some digging…Now before I get into that search result, I will say this, in the past year, I TOO have come to find, there are a WHOLE TON of things that are changing all the time, from my past reality, to my present reality…I cannot explain this, and it has made LITTLE to NO sense…I too, subscribe to the theory, that CERN + D-Wave, and tapping into Quantum Reality, and so called “Other Dimensions” has completely altered our reality, somehow….Okay…First off…Looked up the word “Matrix”..It comes from the LATIN and is used in place of the word, “WOMB”…Okay, no problem, so I hop over to my favorite tool, my word search Bible, did a search for the word, “Matrix”…comes up 5 times in my KJV Bible…Okay…So then I did a search for the word, “WOMB”, and it comes up 71 TIMES…!!! Now that is when I stopped…When I replace the word “matrix” with the word “womb” that makes a WHOLE WORLD more sense…So…WHY IN THE HOLY HANNA is the word “matrix” in there at all…? Did a little more digging, and then I came across the mandela effect, and Bible changes, like Lion lays with the Lamb, which I had already did several hours of study and looking into…And you know something I find VERY VERY VERY ODD about Lion vs Wolf with the Lamb…? I thought I might get sneaky here, and try to bypass this whole mandela MADNESS, and started doing some VERY VERY OLD sermon searches, and you know what…? For some WEIRD REASON, I have yet to understand, EVERY stinking OLD SERMON from like 1800’s and up, is MISSING the verses where this would be found…!!! The sermons ALL just SKIP right over this verse…!!! Hmmm…Now that was TRICKY..!!! I have a lot more to say on all this, as these studies have taken me in A WHOLE TON of different directions, but for the moment I will say this…Lucifer has sought to make all sorts of changes, and if it were not for Christ / Yeshua shortening THESE DAY’S = ” And except those days should be shortened, there should no flesh be saved: but for the elect’s sake those days shall be shortened.” we would all be a in a world of hurt…Anyway…Not here to create my OWN post, just wanted to share a recent finding, that, literally, blew my mind…And it is right now, still, causing me to pause, and re-think, what is it I “think” I know vs what it is that I “KNOW” that I know…You “know” what I mean…? This would be QUITE FASCINATING! by the way – I’M SO GLAD YOU GOT SAVED! YHVH BLESS YOU AND KEEP YOU! You bet sir…Here is one of those links that has an interview with a pastor being interviewed about these changes…. And this is the list of the AWESOME Pastor Charles Spurgeon sermons that I have been digging in…. Hey brother….Just found this AWESOME resource…And finding more and more people awakening to this ATTACK on HIS LIVING WORD….All praise and all glory are HIS…!!! ALSO – I do want to add this here…In my last year, have done a LOT of Bible studies, and being an old Cisco Certified Network Admin, I am pretty darn computer savvy…So, I do not, have not, subscribed to a “one” teacher fits all kind of program…I have learned from HUNDREDS of the “greatest” bible teachers throughout time, I mean, that is just ONE of the things I love about computers and networks, and the internet, you can, with a simple search, read a sermon, that was given over 500 years ago..!!! So, that said, in all my searches in this past year, I have come across a whole MULTITUDE of “Lion and Lamb” ministries…But you know how many “Wolf and Lamb” ministries I have come across…? But you hear what I AM saying…? 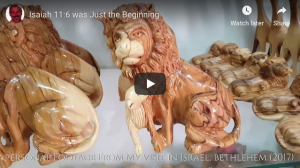 NO ONE…Throughout ALL time and ages since Jesus walked the shores of Galilee, NOT ONE “Wolf and Lamb” ministry..?? as in NEO-M….And well oh well guess where it is within a STONES THROW of…?If you guessed a stones throw away from where our Lord and Savior brought the JEWS out of slavery form Egypt, you will have guessed RIGHT…So…We have the new world order city called NEO-M…And it is just down the road from where the Lord brought the Jews out of Egypt in one of the most referenced books in the Bible, EXODUS…And oh yeah…THE WORD MATRIX SUDDENLY APPEARS IN YOU GUESSED IT….EXODUS…Wow…But I am sure all this is just a coincidence…RIGHT…? You see how these sick evil Luciferians operate here…?